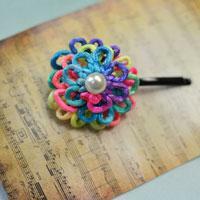 Want to make a beautiful hair accessory for your girls? You are so lucky to meet my tutorial, today I will show you how to make the cute hair accessory. In today's article, I'll share a bridal headpiece tutorial on how to make a beaded wedding hair accessory for bride with you. 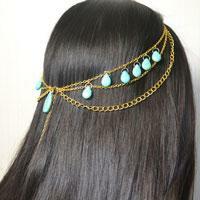 In this simple headpiece tutorial, you can see how to DIY a turquoise chain headpiece for girls. 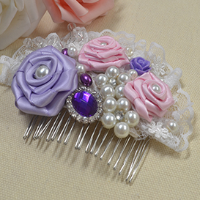 Girls, do you wanna make a beautiful flower decorative hair clip for yourself? Come here to follow my tutorial and you can make one. In this article, I'll share an easy-to-make hairclip and the tutorial on how to make a colorful flower hairclip with you. 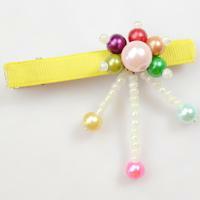 How to make a ribbon hair clip with beads in easy steps? This tutorial is going to show you. Do you want to DIY little girls’ ribbon hair accessories? 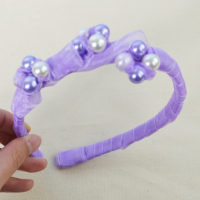 This tutorial will tell you how to make a handmade hair accessory with pearl beads. 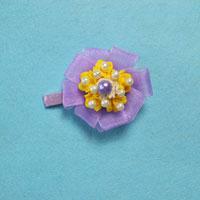 Today I want to teach you how to make barrettes with beads. 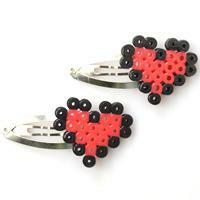 Hope you like this beaded barrette pattern. 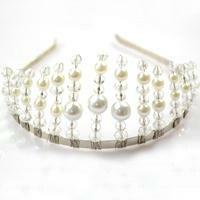 In this project, I want to teach you how to make a beaded headpiece, hope you like this wire pearl bridal headpiece. 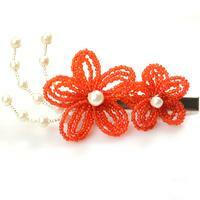 Do you want to make beaded bridal hair accessories for your bride-to –be friend? 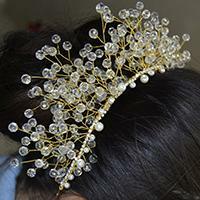 Just follow this tutorial on how to make bridal hair accessories. The project today is about candy hair accessories. 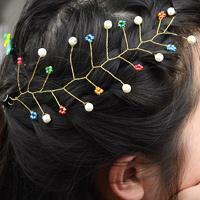 Wanna know how to make your own hair accessories? Just check out this article! 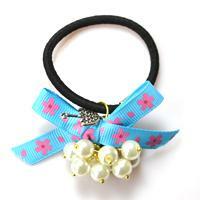 Do you like DIY bow elastic hair ties? 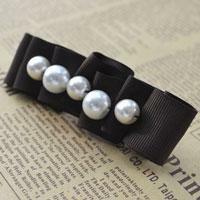 If yes, please check out this tutorial about how to make a bow hair tie. Hope you will like it! Do you want to DIY hair clips for kids? 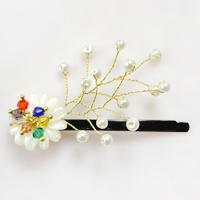 Here is a very cute pearl hair clip. Mom can make one for your little girls. 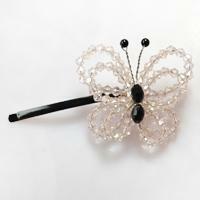 Do you want to have a crystal butterfly hair clip? So lucky! Today, I want to share you about how to make a butterfly hair clip. Don’t leave away; I believe you will like it! 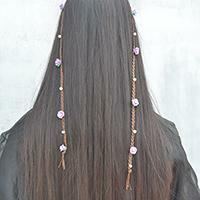 Want to make hair clips by yourself? 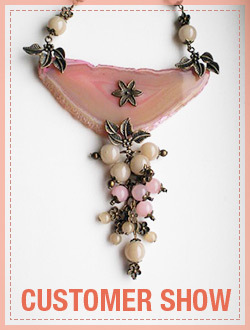 So fortunate, this jewelry making tutorial will entirely show you how to make floral hair clips. The result is fabulous! Never miss it! 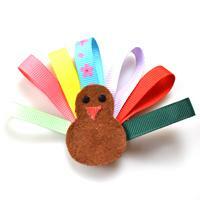 Want to make something to celebrate Thanksgiving Day? Here, I will show you how to make a turkey hair bow with detail steps. Hope you will like! 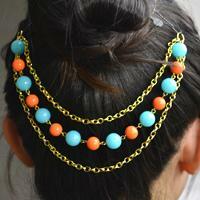 Do you like to DIY perler bead hair clips? Today I will guide you make perler bead patterns for girls, just follow me.